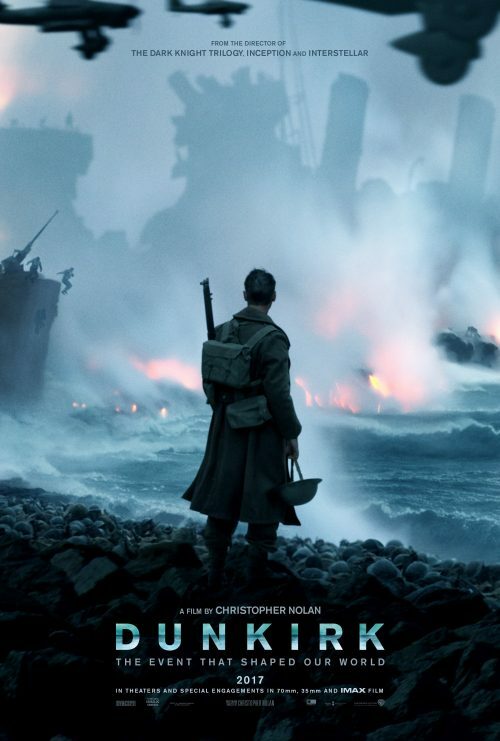 The first poster has arrived for the critically acclaimed director, Christopher Nolan’s next film, Dunkirk. There is quite a lot to see on the poster. From the Stukas at the top; to the discarded helmets at the bottom. It seems to cover everything that happened when the British army was at its lowest ebb during the Second World War. The other thing that struck me is that this is the US, domestic, poster and not an international one. See if you can spot what makes it that sort of poster.